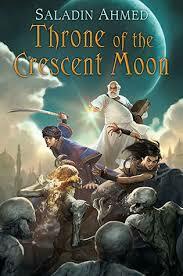 This is the first book of the Crescent Moon Kingdoms series. I got myself into it with my eyes wide open and I’m not disappointed. This is a first novel and it holds the promise of even better work to come. The setting is highly influenced by the scenes and cultures of Asia Minor. 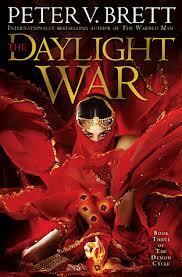 It is an Arabian Nights world with demon hunters, herbalist alchemists and magicians. Water is scarce and politics complicated. This story plants us in the middle of an overcrowded and impoverished city ruled by a cruel and selfish Khalif. The city guards are more likely to harass and bully the citizens than protect them. There is also a rise in “odd” deaths. Body’s are found with their hearts ripped out. This is a sign that there is someone very powerful calling up the demons. In this world of Djenn and ghuls there is also a rebellion forming. A man calling himself the Falcon Prince has taken on the characteristics of Robin Hood. He is a terror to the wealthy and a boon to the poor. He appears with food and medicine in places where all hope is lost. Although he is not actively sowing discontent, it is clear that he is a threat to the throne. Our characters are an odd bunch. There are the aging ghul-hunter (the last of his kind) and his dear friend the magician. There is the magician’s wife, a notable alchemist and an immigrant. Then the youngsters a Dervish warrior whose devotion to his calling is continually challenged by the irreverent ghoul-hunter. And lastly a young tribeswoman, who can turn herself into a sacred lion of the desert. This is a delightful fantasy. It has the exotic and the familiar. It’s characters are well developed and highly flawed, but honorable to a fault. The religious structures fuel the magic and empower the Dervish and still are questioned as to the limits of human devotion. I am truly looking forward to more. 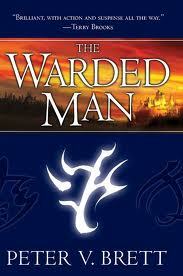 I reviewed the first book of the Demon Series The Warded Man. The second I found typical of a mid-trilogy novel. It was important, kept the story moving, gave deeper insight into the characters but didn’t provide me with a new theme. There was, however a dramatic ending continuing the sense that these novels would stand alone. My biggest disappointment with this third book is that it’s not the end. Not only is this not the trilogy I’d signed up for, the ending of this book is a cliff hanger. Literally, there’s a cliff and the reader is left hanging at the edge of it, with night coming on and the Demons rising. Having said that I understand the need for this expansion. This third book is largely set in the desert culture. This is not something most Americans have a lot of experience with. To appreciate these people and understand their motivations, rather than assuming them the villains of the tale takes a certain amount of time and patience. This is not the culture I know, but it is a full and rich one. Successful in its own right, even though I may object to many of its practices. 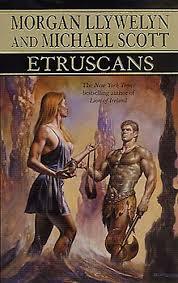 This is also the book where the two cultures come into conflict. The desert people are on the move, expanding against the demon invasions. The farm people, where our main characters originate, can’t hold off against the armies. The ruling class, which we visited in the second book, doesn’t really get involved until they feel directly threatened. It’s interesting to note that the threat they feel most strongly is from the warded man not from the leader of the desert tribes. Only one man can unite the people against the demons, the Deliverer. Thus is the prophecy interpreted, in both cultures. Arlen, the warded man, fights against this notion. He advocates for the people rising to deliver themselves. Ahmann, Lord of the Desert tribes, may question his worthiness but recognizes the omens pointing to him. Arlen and Ahmann are zahven. They are brothers, counterparts, rivals, nemeses. They are certainly reflections of each other and it seems that either has the potential to become the Deliverer. As we learn in the story both have their strengths and their character faults. They have approached the problem of the demons from different vantage points and found differing tactics. Now I have to wait for an indeterminate amount of time before I can read the end of the story. How do the people defeat the demons and who will become the Deliverer? It seems I’ve gotten myself sucked into yet another series. Luckily for me this book is not only the first in the series, it also stands on its own. The sense I had at the end of the book was much like it is at the end of any book. We know the world and the characters go on even when the tale is complete. If we really like what we’ve read we sometimes wish for more story, or another book about what our favorite characters do next. But it’s like having a great meal at a restaurant. We’re satisfied, but would like to come back. There are so few series these days that don’t end on a cliff-hanger. I am so grateful to have found an author who respects his work well enough to give me a complete novel, even as part of a series. It’s worth exploring the next books for that reason alone. However, there are plenty of other reasons to appreciate this writing as well. This is a story in that blending of science fiction and fantasy. The world here is older than it seems. Mythology has replaced science, but there are hints of a time where great science was prevalent, or perhaps it was great magic. The warders use symbols, like runes or Chinese characters, to build nets of magic to keep out the demons that rise from the core each night. During the time of technology the demons had been defeated and there were hundreds of years of peace and prosperity. When the demons returned, civilization collapsed into a semi-feudal structure. The farmers in the small towns on the edges have maintained wards that the city people have lost, and visa versa. In the city only warders know the symbols, In the country everyone knows them but clearly there are those with a stronger aptitude for constructing them. In the city placement of the wards is a science of geometry, trigonometry and physics. In the country you eyeball them in, or maybe use a straight stick to get the lines matched up. There are three characters whose stories are told. Arlen, who is a master warder in a small town that would never recognize that. He is young, and brash, and talented and wants to learn about the times when men would fight the demons. He feels betrayed by the father he used to admire and runs away, eventually to the city. He wants to become a Messenger and travel the spaces between the towns looking for hints of the past. Leesha’s family is at best verbally abusive. She’s a very bright girl with a strong ethic. Humiliated by her mother and the man her mother expects her to marry, she runs to the old herbalist for refuge. The old woman takes her as an apprentice and reveals records and secrets that the wise women have kept since before the demons returned. Rojer is an orphan survivor of a demon attack. His father was the inn-keeper who let the wards around the inn deteriorate. At the time of the attack the inn was housing a Jongleur, a traveling player often found in the company of Messengers. In spite of himself, the Jongleur takes on the responsibility of the small boy and raises him in the trade. Rojer was crippled in the attack, losing a few fingers off of one hand to a demon bite. He doesn’t make a very good juggler, but he has a surprising skill with the violin. I realized I was looking at a series when I was past the middle of the novel and the three had yet to meet up. When they finally do it is the demands that each of them makes upon the others, as well as the need each of them has for the others that allows them all to recognize what they have become in the course of the story. This is the coming of age piece for all three of these characters. At the end of the novel the demons still rise and the world hasn’t changed. But the three characters have. We’re not sure where they are going next, but we know that there will be work for all of them. They have each come into their own and they live in “interesting times”.